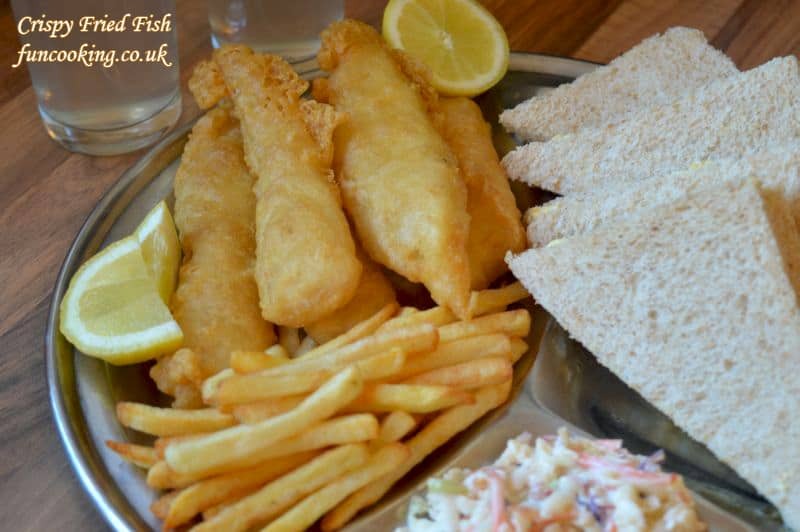 British most favorite Crispy Fried Fish. This recipe is amazing. 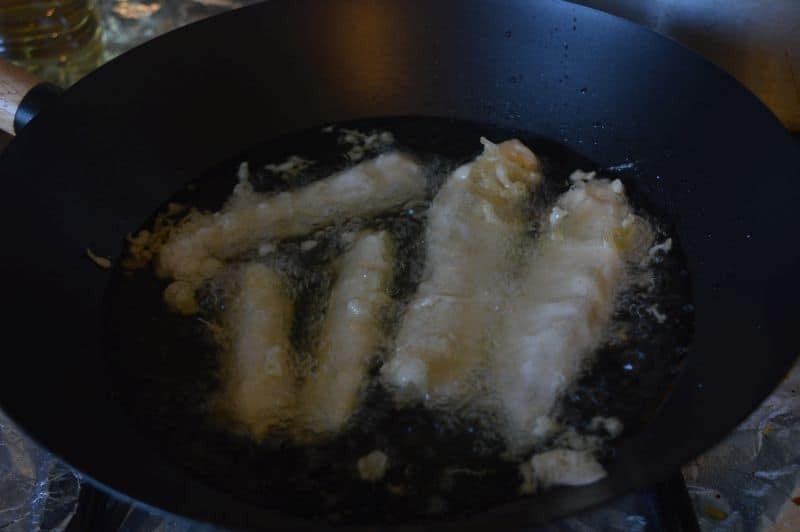 If you follow the instructions fully, you will get perfect results and crispy fried fish that you can ever imagine. 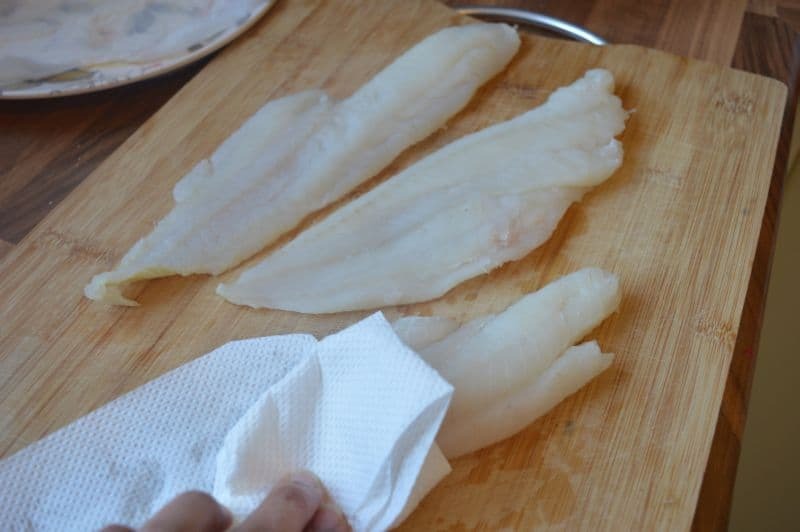 Tip 1: Make sure your fish is nicely dry. Thaw it then with kitchen towels press it and dry all water from it. 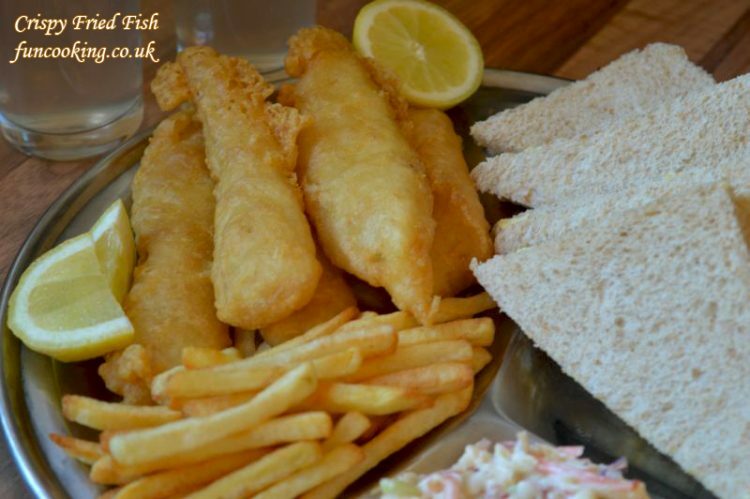 Tip 2: Use a good quality boneless fish like Cod, Haddock or plaice. 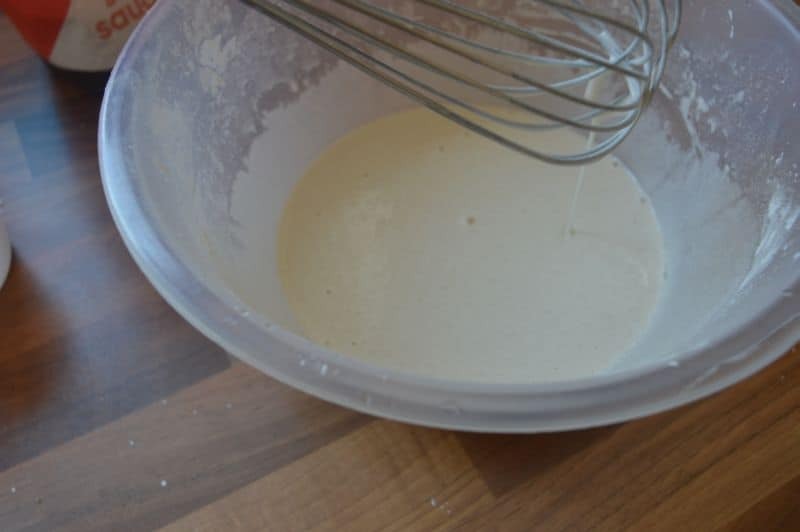 Tip 3: Make your batter with hand and with very cold water. Tip 4: Fry it on 180 C, and while frying don’t let your oil drop it’s temperature. 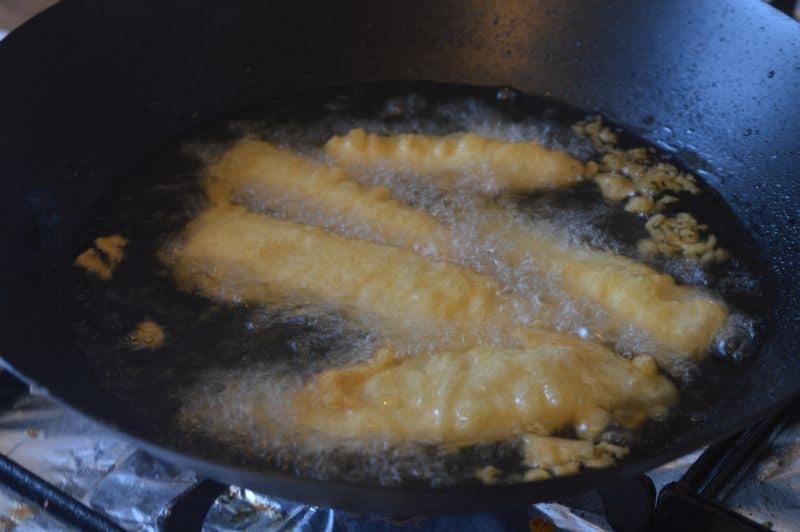 Yes it is very hard in home to maintain the oil temperature while frying, just make sure do not over crowd your pan with fish, this way your oil temperature will not drop and you will get crisp fish as you eat in fish and chips takeaways. Tip 5: Do not add any salt in batter, sprinkle salt after frying. 1. Take your boneless fish. I am using Cod. Thaw it then dry it by pressing kitchen towels on it. Make sure it has no water in it before frying. 2. Cut in desired pieces and roll into rice flour. Set aside in fridge while we make batter. 3. Now add all list 1 ingredients in a bowl. 4. 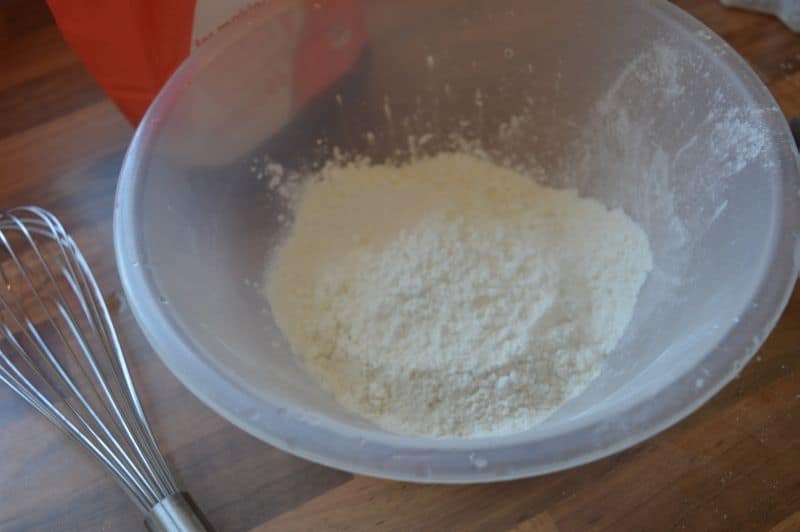 Add ice cold water and make a thin kind of batter. Keep in fridge if you are not using it now. 5. 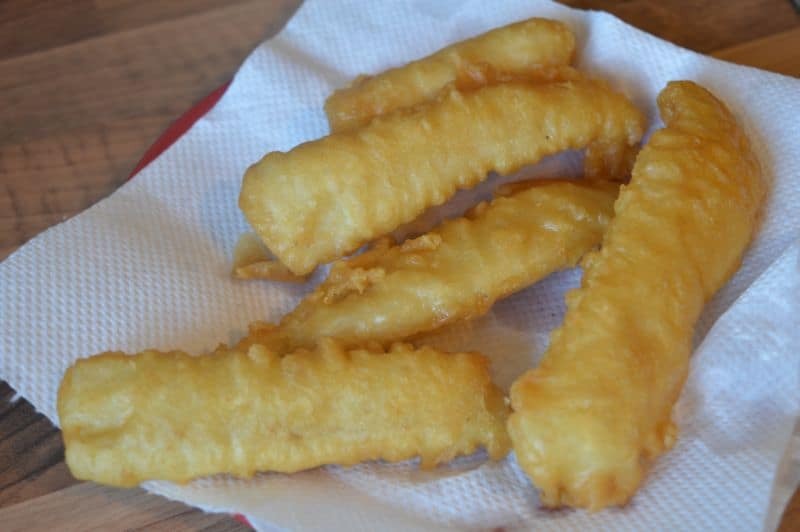 Now dip your fish in this batter and fry in hot oil. 6. Fry for almost 5-6 minutes. 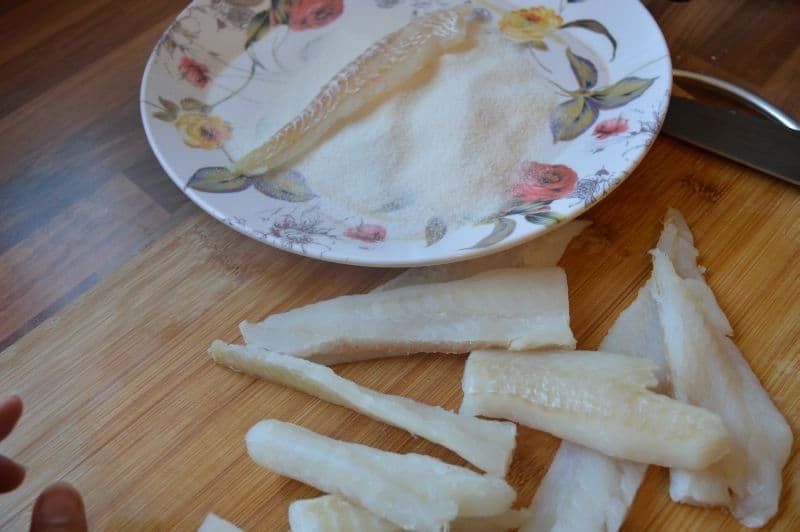 This fish meat will be tender under 1 minute after 1 added this in hot oil. I am actually cooking batter for 5-6 minutes and making it crispy. Take out on paper towels. Sprinkle salt before serving, or you can also sprinkle pink salt or chat masala on it.